Learn bar techniques with the Beemat ® Pirouette Trainer Mat. 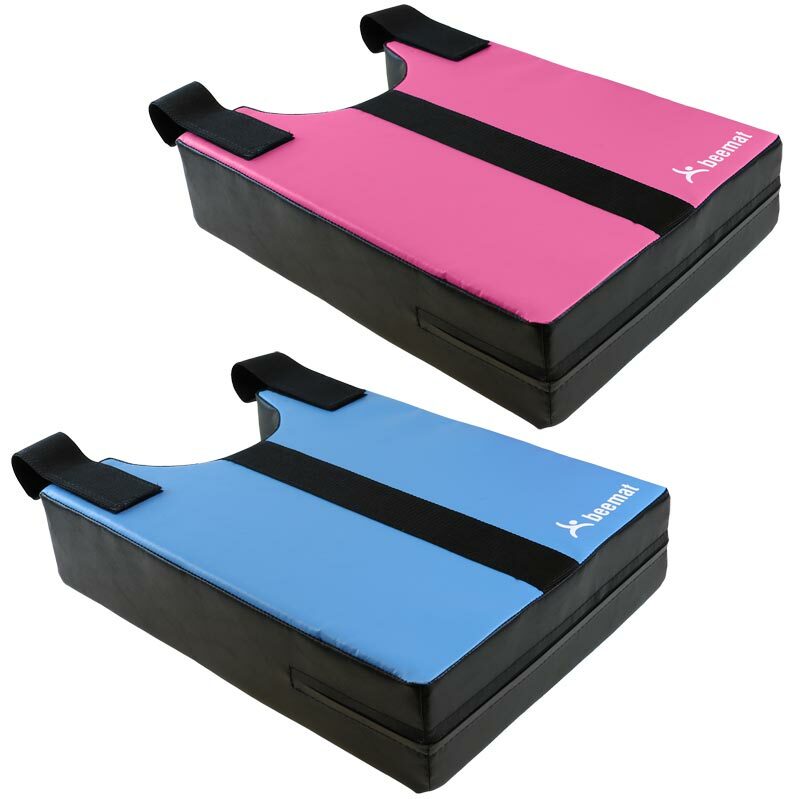 This elevated mat has a 180mm (7") half-circle notch to help accommodate gymnasts hands for ease and optimum hand placement during pirouettes, healys and blinds. The black centre line on the surface assists with hand alignment. 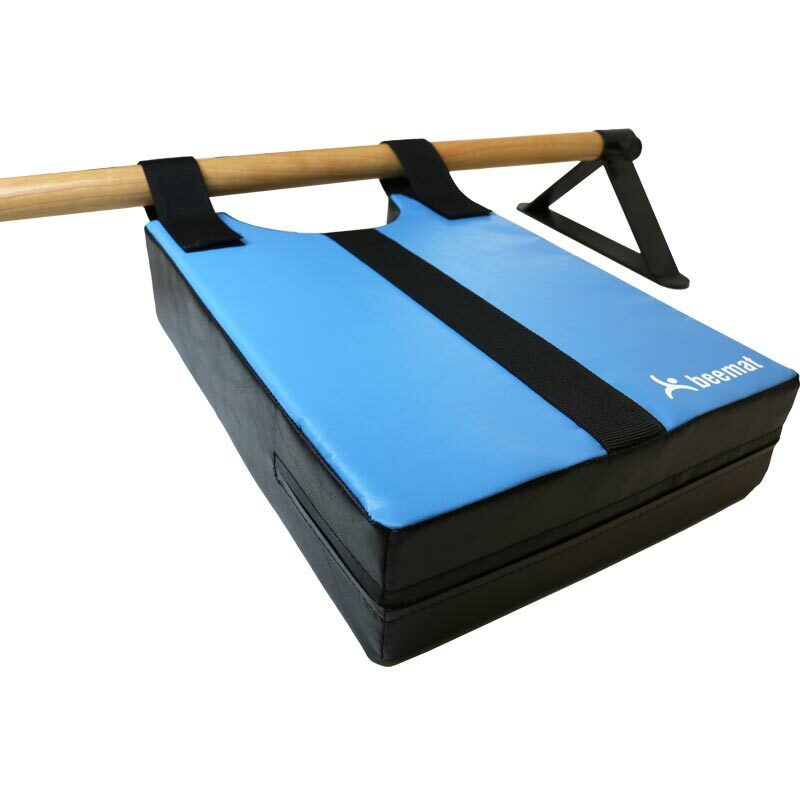 The hook and loop attachment system makes it easy to attach and remove from the floor bar (to be ordered separately) and can be fitted to either side. Learn bar techniques with this useful training aid. 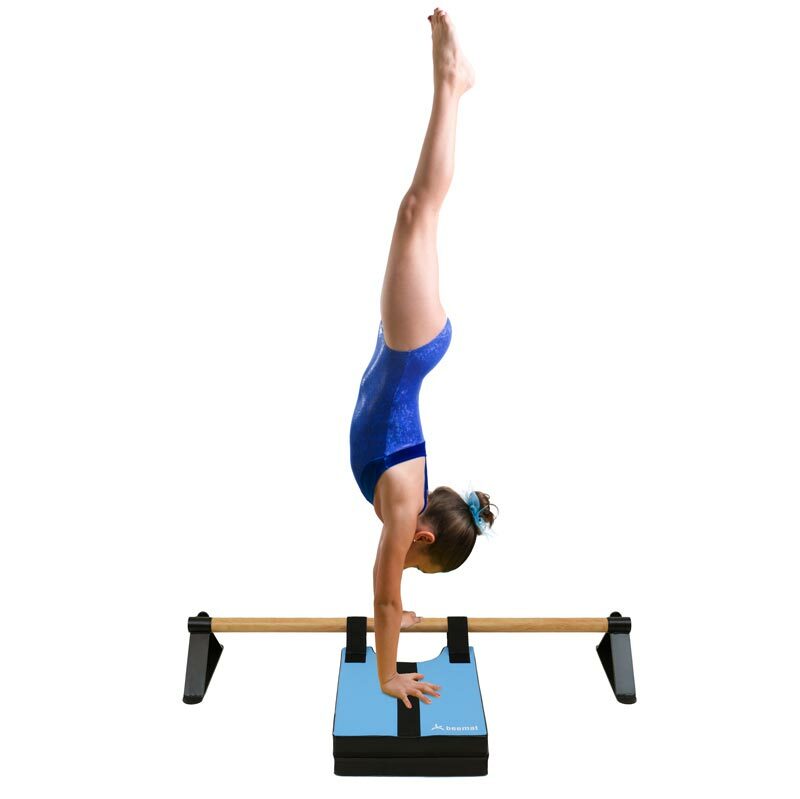 Introduce gymnasts to the turning elements on a Beemat floor bar (not included). Easy to fit and attach. Size: 635mm x 330mm x 100mm high (25" x 13" x 4"). Floor bar to order separately.